Today I was thinking about the structure of the Tomiki system and came upon an interesting concept that I'd never considered (probably because I'm behind the curve - other instructors probably already knew this). The techniques of junana all start with one of the release motions. Except for shomenate, eveything in junan) prior to and including kotegaeshi is built off either the first or third release motion. Everything after kotegaeshi is built off of the second or fourth hanasu motion. Shomenate and the first four of owaza jupon are built off of a #9 or 10 hanasu motion (the inside releases that start yon kata). Owaza #5 is built off of hanasu#1 and owaza 6-9 are built off of a variant of hanasu#4. All this info is encoded in the release followups so that we get an intuitive feel for which technical possibilities live in the vicinity of each hanasu motion. I think it is really interesting to see that structure existed within the Tomiki system (i.e. 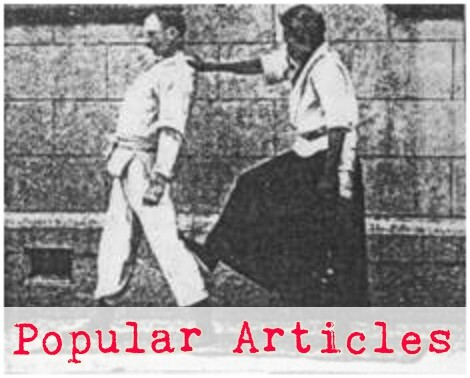 junana and shichihon) prior to the explicit development of the hanasu no kata or the release followups. 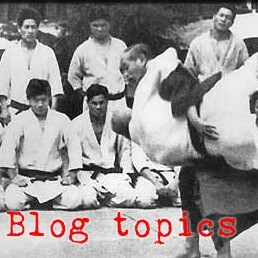 So, if the first 6 of shichihon are the prototype motions for most all the material in aikido, why did Tomiki include that odd 7th technique in shichihon? And why were shichihon#1 and #2 removed from the material that was used to create hanasu?